Music Made in Heaven is a very special handbell ensemble. Each of our bells has been donated in memory of a child who has died and is inscribed in remembrance. We play to express our joy and gratitude for the lives of these children. We also play to inspire healing and hope in others. Most importantly, our playing is a gift to our children, providing them a way to add beauty to our world through music. Ringing in a hand bell choir is very different from singing in a vocal choir. 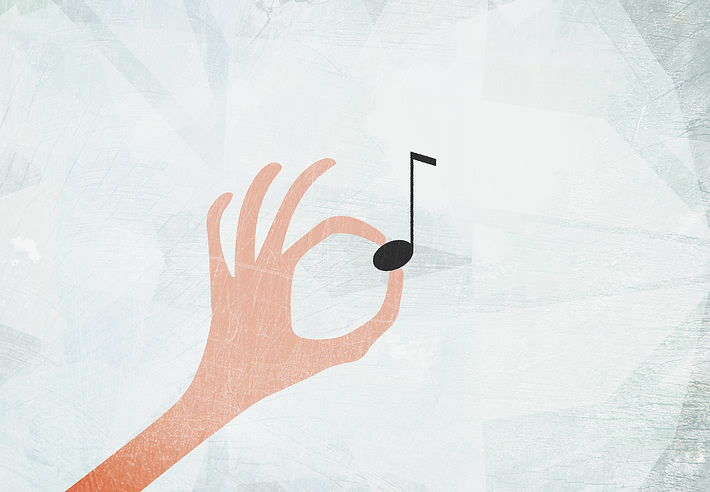 One singer more or less will not change the overall sound of the music. However, each hand bell ringer plays specific notes and without these notes there would be “holes” in the music. Throughout the year substitute ringers are essential to a hand bell choir and must be accomplished “sight readers” and able to handle a variety of bells and techniques. We are extremely pleased to welcome three new and experienced ringers to Music Made in Heaven; Courtney Schlachter, who is a graduate student at UNC, Dee Munro, who has substituted with the group in the past and Ruth Stevens, who is the new Business Manager for the Raleigh Ringers. 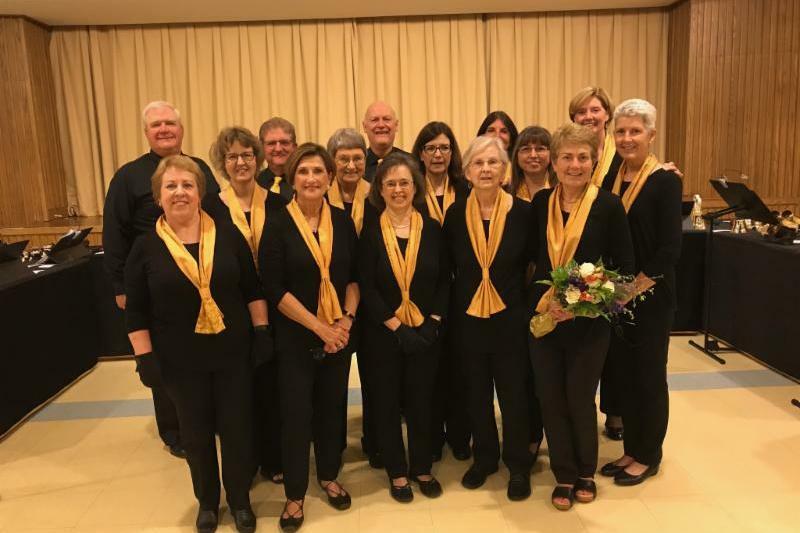 In addition, Ann Lowe Vodicka, a current Raleigh Ringer who substituted for us last Spring, has become a permanent member of the group. How fortunate we are to continue with our lovely and challenging repertoire ringing all five octaves of the bells representing our children! Checkout the video from this year's "Bull Ring"; a massed assembly of handbell ringers playing the National Anthem at the Durham Bulls Athletic Park. ﻿Stay tuned for additional videos in the coming months. Music Made in Heaven has been asked to play at the North Carolina Jaycee Burn Center 27th Annual, "Celebration of Life", burn survivors' reunion this November. This event offers survivors, their families and friends, members of the fire service, current and former Burn Center staff, and community volunteers an opportunity to come together to share stories of struggle, recovery and hope. The guest speakers this year include Bonnie Woodruff, a Music Made in Heaven ringer. After experiencing the ultimate loss of her child, Ben, to a tragic fire at the Phi Gamma Delta fraternity house, she chose to bring positive change to fire prevention efforts and move beyond her personal tragedy to bring hope to others. Today Bonnie works with others across the country as part of Common Voices , an advocacy group for fire safety. We greatly appreciate all financial contributions as they help us with the insurance on the bells, the purchase of auxiliary equipment, travel and performance related expenses, communication and printing costs, and upkeep to our website. Please choose Music Made in Heaven as your donation recipient when shopping online with Amazon Smile or IGive. ﻿For more ways to donate , please visit our website. 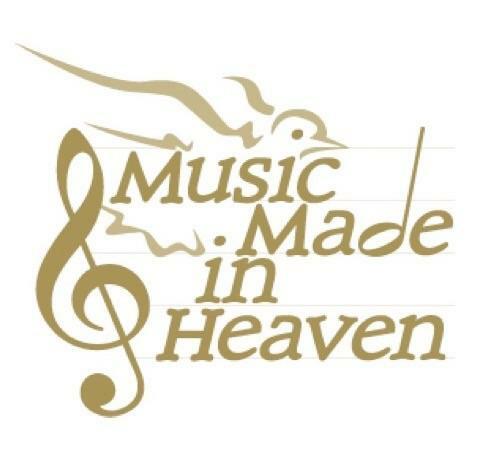 Music Made in Heaven is a registered 501(c)(3) organization. All donations are tax deductible to the extent allowed by law.